The business of renting a lot of computing power via the Internet is quickly replacing the conventional business of selling computer servers, mainframe computers, and associated hardware and software. Cloud computing is often preferable because of its lower costs and faster deployment. IBM’s cloud provider competitors have been growing rapidly, Amazon Web Services in particular, but also Google and Microsoft. Each of these competitors have said they will spend at least $1 billion annually on cloud computing for the foreseeable future. IBM bought Softlayer, a cloud company with 13 data centers, last year for $2 billion. This brings IBM’s total number of data centers to 25 when added to the 13 that IBM already has in the United States and overseas. The smallest of these data centers contains over 16,000 servers. The company plans to have 40 data centers in 13 countries across five continents by the end of 2014. 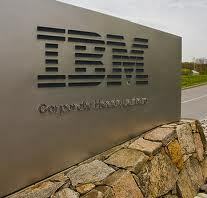 IBM also has announced plans to build two facilities in the United States specifically designed to handle government workloads and add computing centers in mainland China and the Middle East. More Children Drinking Coffee in the U.S.